Tech Blog Gizmag is reporting that after some confusion over the past year about the rebirth and production of the Aptera, it looks like a reorganization by the design and patent holder is coming to reality. The biggest surprise in the new announcement is that there will potentially be 3 models. • A U.S. produced all gas version that will hold 5 gallons and get slightly over 100mpg. • A hybrid that may peak at 240mpg (to be produced at a later date). 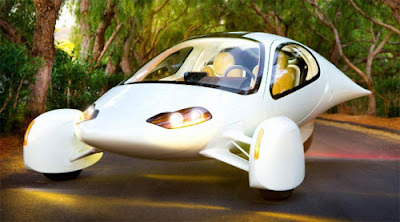 Any of you that are regular readers know that I am one of Aptera's biggest fans and I honestly see it as the future of the automobile industry. I had even posited that I thought Apple should buy them out and enter the car business and make as big a splash there as with the iPhone and iPad.